Worldwide, we waste about a third of the entire food production. A third! In New Zealand, avoidable food waste would be able to feed between 50,000 and 80,000 people a year. Throwing away food doesn’t just cost us money, the energy that goes into the production of the products (cultivation, packaging, transport, refrigeration) goes to waste as well. So what can we do to start making a difference? And perhaps, more importantly, teach our children how important our food and resources are? First of all, we think it is simply important to become aware of the severity of the problem that food waste is becoming, so you can think twice before you throw away food. 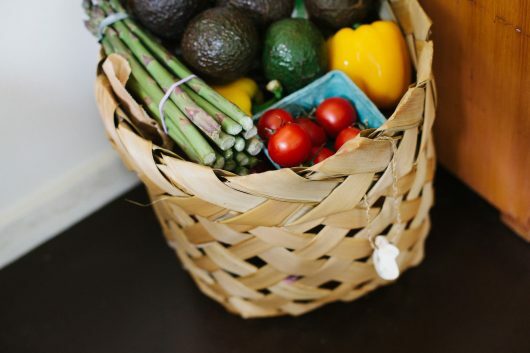 Many people are unsure of how to store fruits and vegetables, which can lead to premature ripening and, eventually, rotten produce. For instance, potatoes, tomatoes, garlic, cucumbers and onions should never be refrigerated. These items should be kept at room temperature. Separating foods that produce more ethylene gas from those that don’t is another great way to reduce food spoilage. Ethylene promotes ripening in foods and could lead to spoilage. You’ve probably heard the saying, “out of sight, out of mind.” This rings especially true when it comes to food. While having a well-stocked fridge can be a good thing, an overly filled fridge can be bad when it comes to food waste. Help avoid food spoilage by keeping your fridge organized so you can clearly see foods and know when they were purchased. A good way to stock your fridge is by using the FIFO method, which stands for “first in, first out.”For example, when you buy a new carton of berries, place the newer package behind the old one. This helps ensure that older food gets used, not wasted. Blending up a nutrient-packed smoothie can be a delicious way to reduce food waste and a great way to include your children in the kitchen. While the stems, ends and peels of produce may not be appetizing in their whole form, adding them to a smoothie is a way to reap their many benefits. 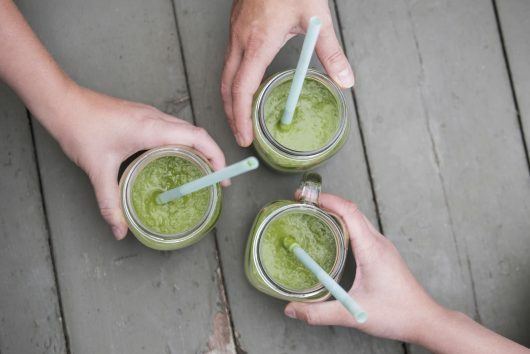 The stems of greens like kale are packed with fibre and nutrients, making them a great addition to smoothies. The tops of beets, strawberries and carrots also make great add-ins. Other items that would otherwise be discarded can also be thrown into a nutritious blend, including fruit and vegetable peels, wilted herbs, overripe bananas and chopped broccoli stalks. Whipping up a homemade stock is an easy way to use excess food. Sauté vegetable scraps like the tops, stalks, peels and any other leftover bits with some olive oil or butter, then add water and let them simmer into an aromatic vegetable broth. Veggies aren’t the only scraps that can be transformed into a flavoursome stock. Rather than letting the chicken carcass or meat bones leftover from your dinner go to waste, simmer them with veggies, herbs and water to make a homemade stock that will put store-bought broth to shame. Get Friendly with your freezer! Freezing food is one of the easiest ways to preserve it, and the types of food that take well to freezing are endless. For example, greens that are a bit too soft to be used in your favourite salad can be put in freezer-safe bags or containers and used at a later date in smoothies and other recipes. An excess of herbs can be combined with olive oil and chopped garlic, then frozen in ice cube trays for a handy and delicious addition to sautés and other dishes. You can freeze leftovers from meals, freezing a great way to ensure you always have a healthy, home-cooked meal available for your children (especially handy for those hectic evenings). Annabel Karmel has shared some great tips on getting the most from your freezer. Composting leftover food is a beneficial way to reuse food scraps, turning food waste into energy for plants. This is an activity the children can actively learn from. They will love collecting scraps and feeding it to their wiggly worms. This guide from Tui is an excellent intro to composting. If you are not interested in leftovers, it is important to make sure you prepare exact amounts. We personally love leftovers — We use them for lunch the next day. You could even consider enjoying a ‘leftover night’ with your family every now and then, and eat what you need to finish. (some parents have spoken about having special segmented plates for this specific purpose to add a bit of fun to the meal). Make sure your fridge is working efficiently for you. Lastly, check your stock before you go to the supermarket. Look in your fridge so you know what you have and what needs to be finished. Make a grocery list — it can even be helpful to make a meal plan for the week. We love The Wholesome Child’s guide to meal planning.